No surprises here – this trail is errr, on a hill above Queenstown, but still deserves a place on my list! I suggest making this the first stop on your hiking journeys in order to get your bearings on the surrounding landscapes and of course, for picture-perfect views over the picturesque town. Word of warning though, this track is usually crowded year round because of its proximity to the town-centre (you can walk to the start of the trail in 15 minutes). Trailhead: 15 minute walk away from town centre on Belfast street. When a hike has a ‘Picnic Point’ along the way you know it’s gonna be a comfortable stroll. Bob’s Cove is the shortest hike on my list, and takes you on a half-hour meander along the electric blue waters of Lake Wakatipu. Summer is the perfect time to visit – with a picnic, duh – some wine and your swimsuit. Many Kiwis enjoy running the track for fitness, which definitely makes it easier to brave the 11-degree Celsius water! Yes people, the Lake temperature rarely gets above this temperature so you may want to work up a sweat before attempting to swim! 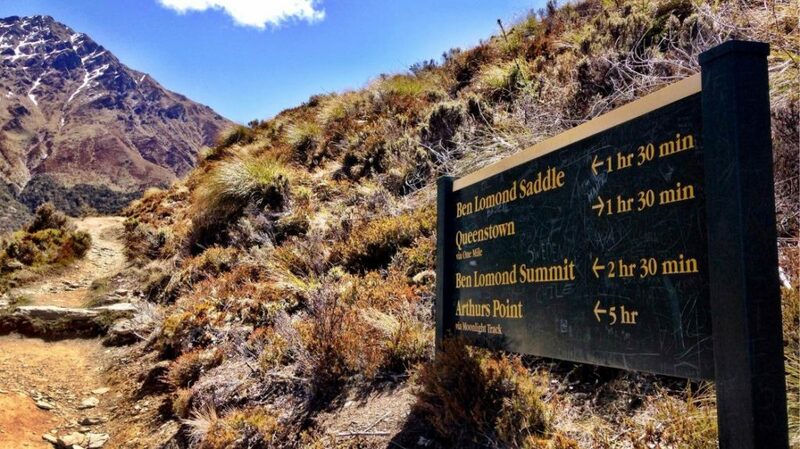 You can’t visit Queenstown and not hike Ben Lomond. It’s just a fact. 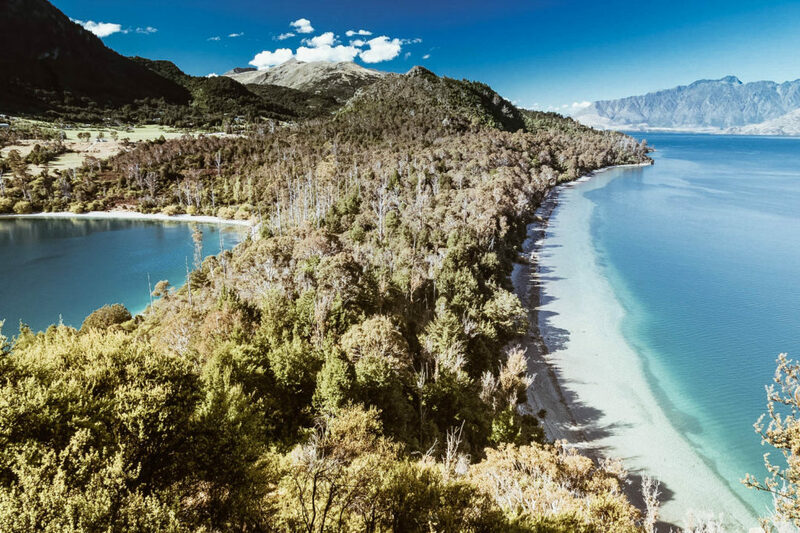 Most photos plastered on the Queenstown tourism ads are taken from the top of this mountain, which offers spectacular 360 degrees of the Wakatipu Basin, Lake Wakatipu, The Remarkables mountain range, Cecil Peak and Walters Peak. Although physically demanding, the views are definitely worth it! Trailhead: Take the skyline gondola up to Bob’s Peak or hike from the bottom of the gondola (additional 1 hour). If you’re an avid hiker and keen for a challenge, Cecil Peak is where it’s at! Not many people hike this mountain and choose instead to tour the peak by helicopter or light plane, so you’ll pretty much have the place to yourself. Add to that the fact there’s no actual ‘path’ etched into the ground, and you’ll need to befriend someone who has a boat to get to the start of the hike – you’ve got yourself the makings of a real adventure! Although you can hike the peak in a day, I suggest packing for an overnight trip for two reasons: 1 – the sunrise shot over Queenstown is unbeatable and 2 – conditions are super changeable so you might not get the chance to summit on the same day! You’ll need permission to hike Cecil Peak from the owner of a sheep station built on the other side of the mountain. You can find his number from the local DOC office. Trailhead: Across Lake Wakatipu (you’ll need to take a private boat or water taxi across to the bottom). Jetstar Australia has daily, direct flights to Queenstown from most capital cities in Australia. Visit the website for more details and to book. 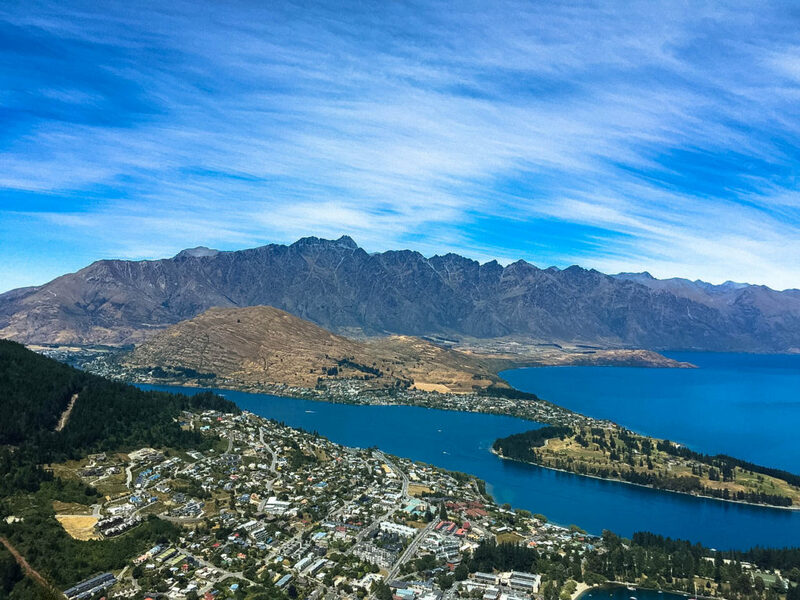 Stefanie from A Modern Wayfarer was sponsored by Jetstar to visit Queenstown in December 2016. As always, she’s keeping it real, and all opinions are her own.